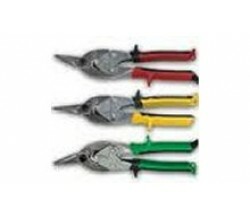 The Knipex 70 06 traditional range of diagonal cutting pliers are made from a top quality vanadium e.. Heavy Duty End Cutter. Used by Steel Fixers Good for Wire Rope Cutting..
Haupa Cuts up to 120 square.. Manufactured from High Carbon Alloy Steel Suitable for Cutting Iron Sheet and Stainless Steel with.. Comfortable soft grip handles Drop forged with satin finish Micro plated.. Cutting Capacity - 50mm For cutting copper and aluminium single conductors as well as multiple stra.. The essential cutting tool for versatile use. High quality material and precise workmanship for lon..
For single, multiple and fine stranded conductors with plastic or rubber insulation max 5mm diameter.. Triple cutting direction identification ..
Max 54mm Cuts up to 850 MCM / 400mm2 Not for Cutting Steel Made in Germany..